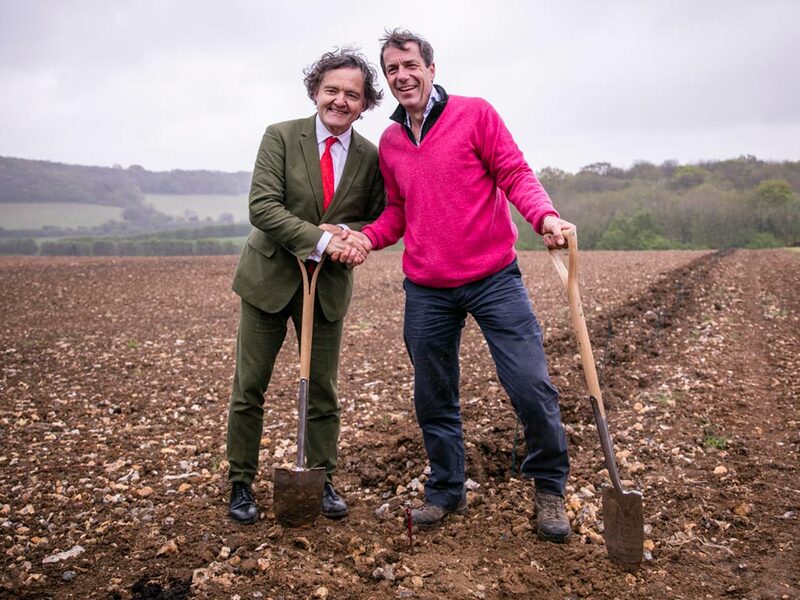 Pierre-Emmanuel Taittinger, President of Champagne Taittinger, has made English Sparkling Wine history today by planting his first vines in Taittinger’s new Domaine Evremond vineyard in Chilham, Kent – the first Grande Marque Champagne House to plant vines in the UK. He was joined by his wife, Claire, daughter, Vitalie, and representatives from Taittinger’s UK agency and partner Hatch Mansfield, to plant the first of 20 hectares of Chardonnay, Pinot Noir and Pinot Meunier vines at the new Estate. 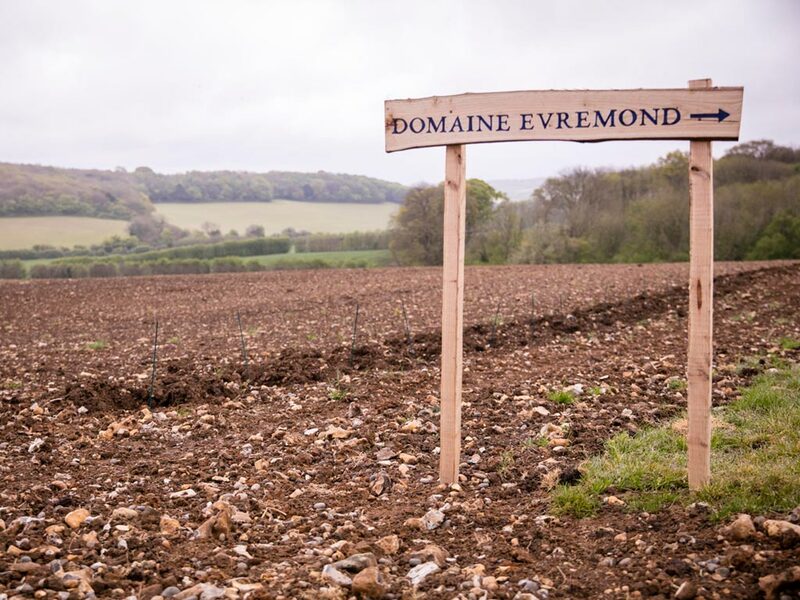 The Evremond vineyard is a joint venture between Champagne Taittinger, its UK agency Hatch Mansfield Ltd, and friends. It reflects the family focused philosophies and mutual respect of both companies. 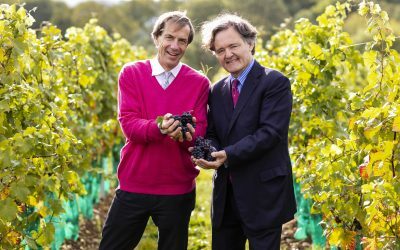 The Taittinger family has over 80 years of winemaking expertise in Champagne and plans to use this, alongside its British team, to help create a Premium English Sparking wine of real excellence. 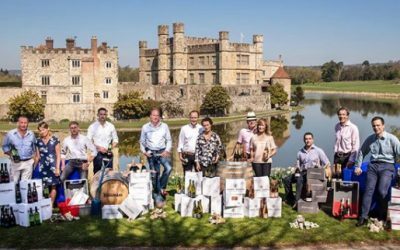 The family has already had considerable success planting vineyards for sparkling wine in the USA in 1987 when they launched ‘Domaine Carneros by Taittinger’, a joint venture with the Kopf family of Kobrand Wine & Spirits. 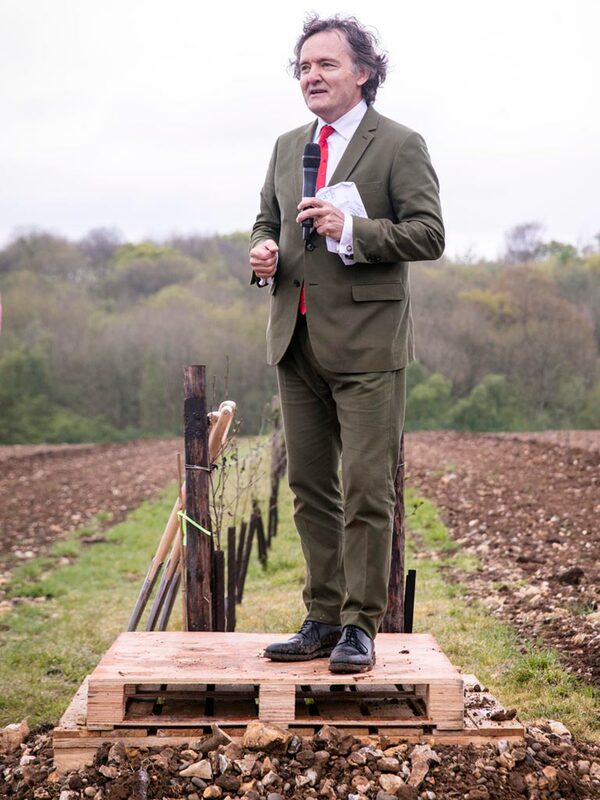 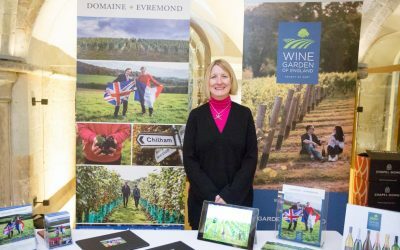 Stephen Skelton MW, one of the UK’s leading viticulture consultants, has worked closely with the Domaine Evremond team in the capacity of viticultural advisor in securing this ideal plot for vineyard development.